Pressure cook peas with a pinch of sugar mixed,don’t add water. Cool down. 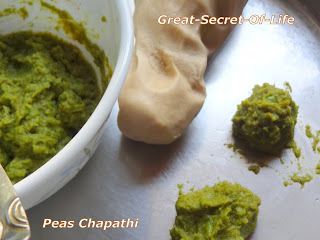 Grind green chilli and ginger first roughly and then add the green peas and grind coarsely. 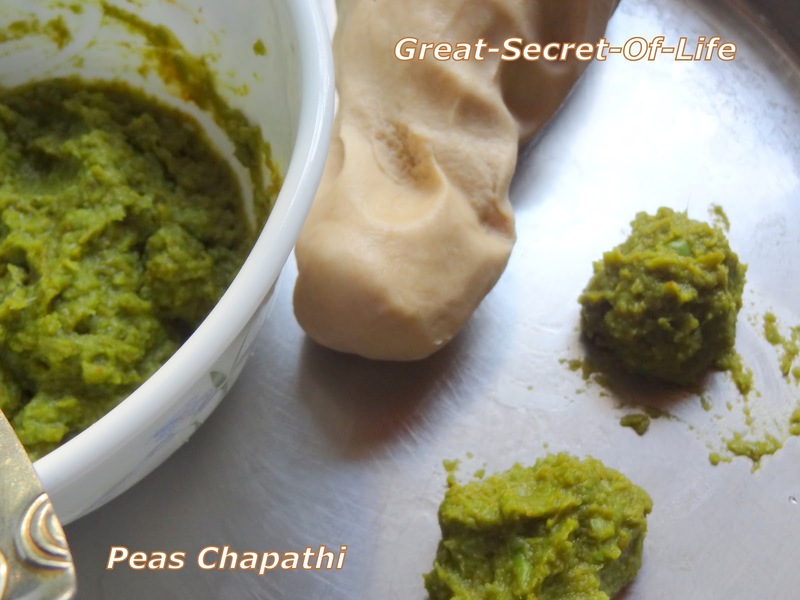 Mix salt,garam masala,turmeric,ajwain,coriander leaves and lemon(if desired) with the peas and make equal sized balls out of both dough and peas stuffing. Roll thick circle and keep the stuffing inside and cover the stuffing and make a ball. 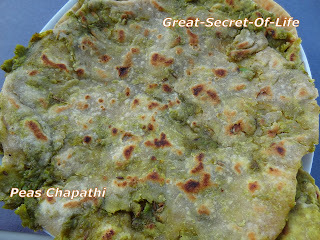 Roll it out with generous dusting with flour and make out thick parathas. 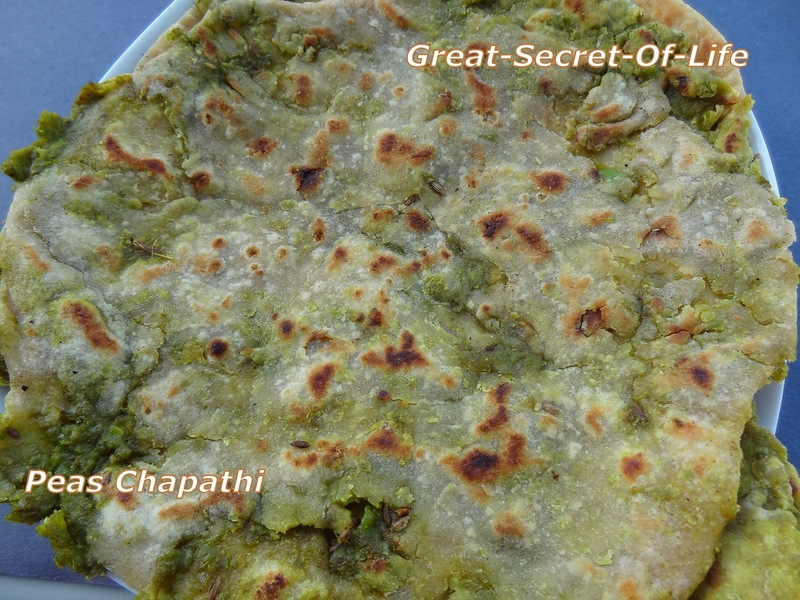 Cook on both sides until golden spots appear,with oil/ghee drizzled over.